I'm edging ever closer to completion! 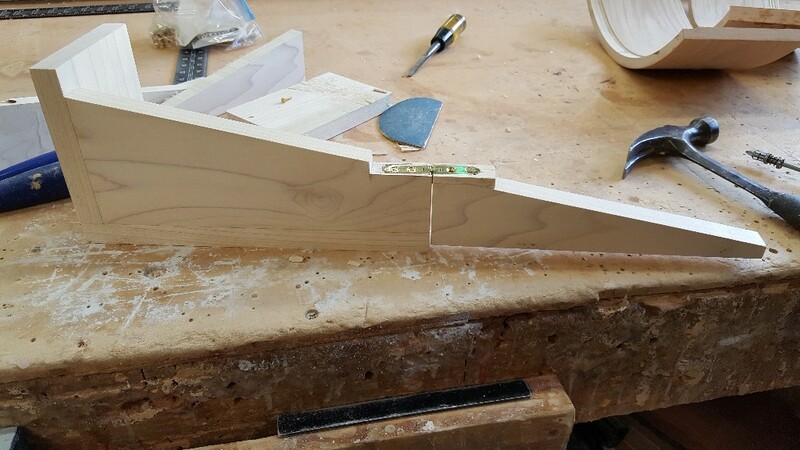 This weekend got the curves for top level of the table completed. Since these are going to be open both sides need to be finished. 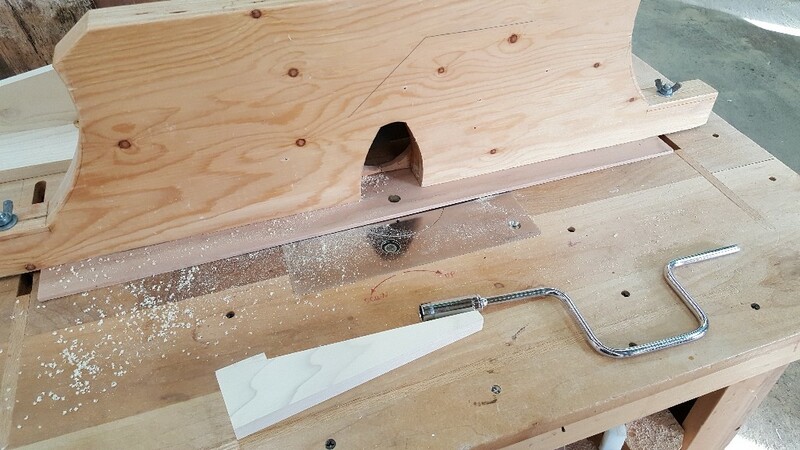 The radius was off a little bit so it took painstaking corrections to get them fitting correctly by adding thin strips of veneer. There was a lot of going back and forth to cut off minute shaving of the ends as well. 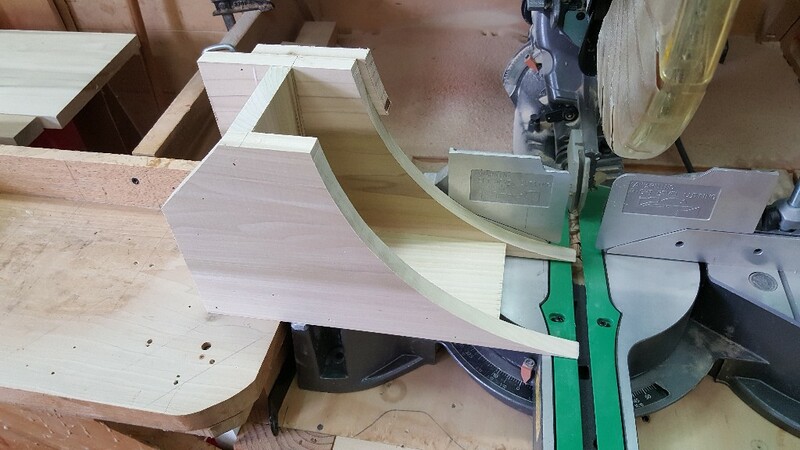 With it being a curved piece, got this jig put together to make it easier to cut. 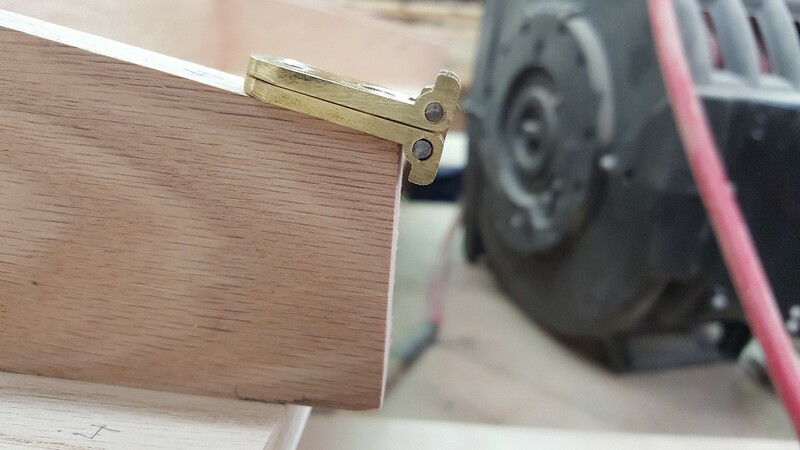 The next step involved routing out spaces in the flip drawers for the hinges. There was another speed bump. Laying the hinges flush with the angle of the drawers would leave me with hinges that weren't flush with the edges when the drawers were closed. 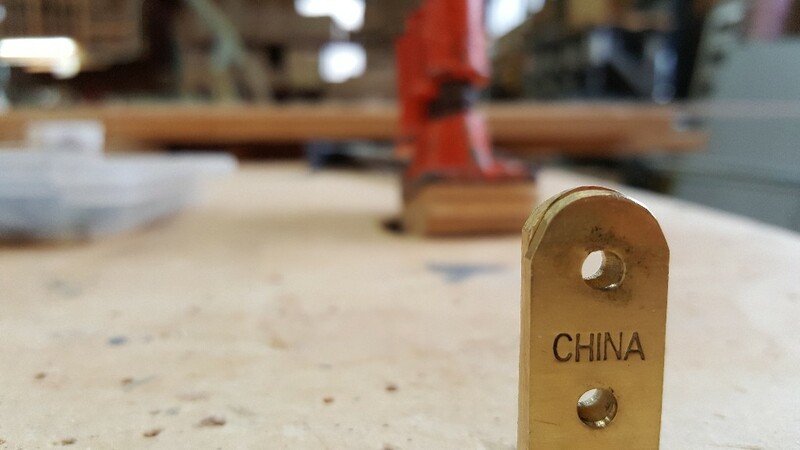 In order to get the hinges flush when closed, they'd need to be drilled in the exact position in the picture below. Made this mock up of the drawers to test things out on. Definitely don't want to be experimenting with the actual table, since there's no undo button for RL. 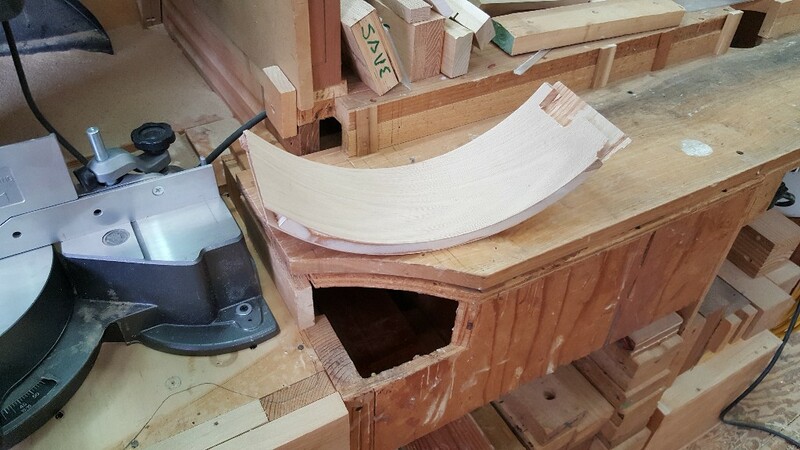 Below is a table router, used for making rounded edges. 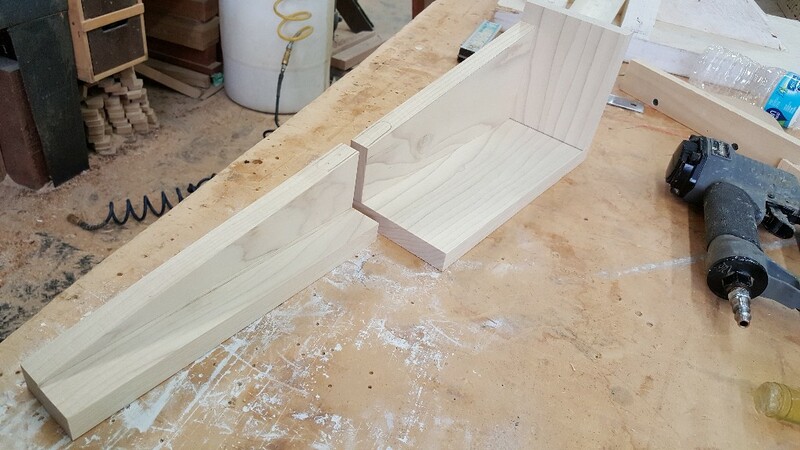 About to put the drawer siding through to make space for the hinge. After several fittings (making the cut, then placing the hinge in it to see that it didn't fit yet, rinse and repeat until it did fit), I found the metal was dented. It was surprising to see this deformation in the metal caused by wood. In the pic you can see how the front flap doesn't match the back anymore. I thought the deal was too good to be true when I bought them. Serves me right for buying from China. 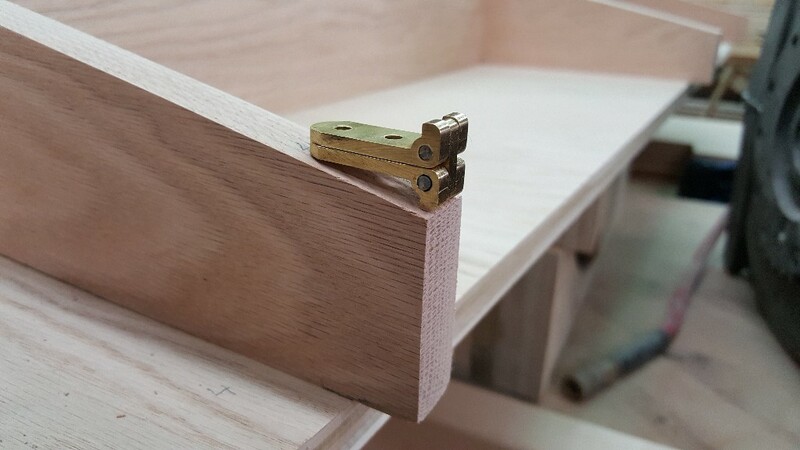 The solution I came up with was to create a level surface along the drawer's edge so that the hinge will be flush when its closed. 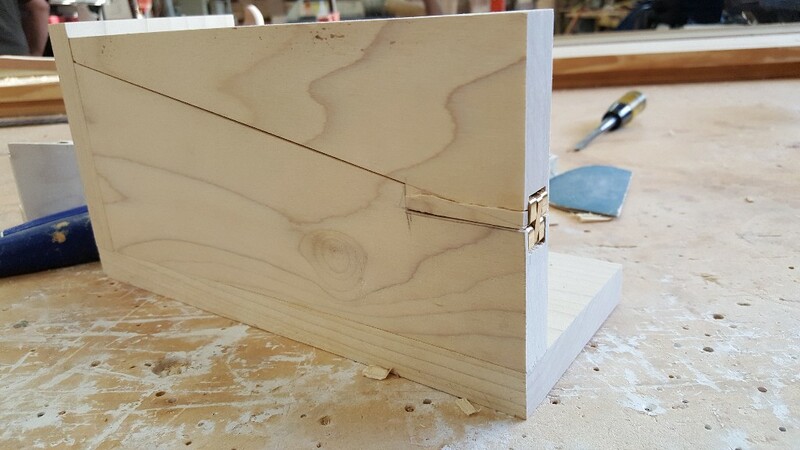 Here you can see the dangers of working with soft wood. While chiseling the wood split. It's something I'm not worried about as this mock up is made of poplar (soft wood) and the table itself is all red oak (hard wood). There you have it. 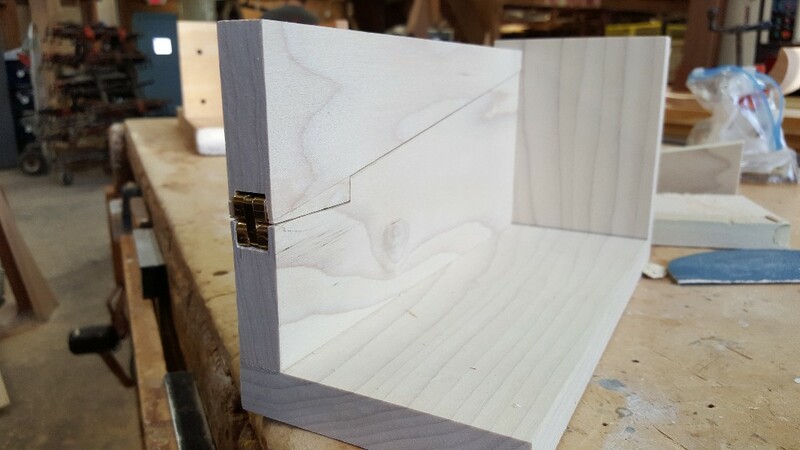 Now that I have a working solution, I need to go back and remake some of the drawers - and cut some notches into existing ones - to fit the new design. Once that's done, and all the drawers are assembled I'll be ready to make the butterfly leaf!